The Amsterdam Dance Event (ADE), the world’s leading event for electronic music, will take place from the 17th to 21st of October, 2018. The organisers are expecting around 400,000 national and international visitors for the 23rd edition. The Amsterdam Dance Event (ADE), an initiative of Buma, is the world’s largest club-based festival and conference for electronic music. The event continues to grow and develop each year, with last year’s edition featuring over 2,500 artists and 550 speakers in a record breaking 160 venues. The event attracted visitors from over 90 countries over five days featuring every conceivable aspect of electronic music culture. The organisers are committed to growing the day and nighttime activities once again in 2018 through established partnerships with cultural institutions, and by adding new pavilions focused on countries. “The addition of pavilions creates extra possibilities to meet and network for music industry professionals but also provides a means to show the innovative power of individual territories in front of an international audience,” states Zijlma. The ADE Pass (access to the complete day 5 day & night program) and the ADE Conference Pass (access to the complete 4 day program) are on sale against Early Bird Rate now and available here. 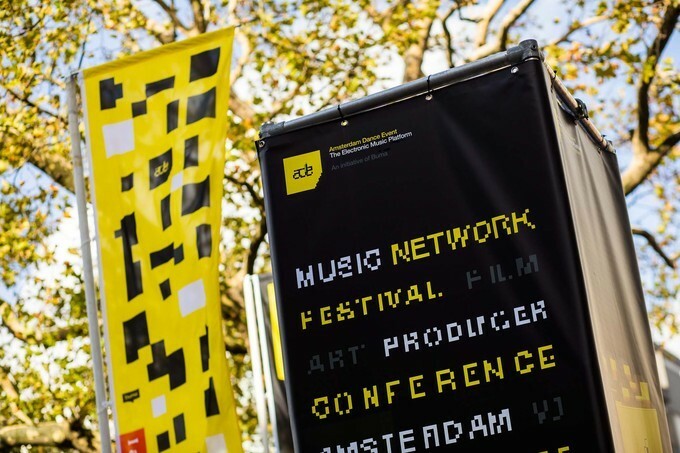 Single tickets for both festival and conference events will go on the ADE site from June 1st onwards. More information concerning ADE’s full day and night program will follow soon. You can browse ADE previous line-ups and select favorite artists and speakers to receive personalized program updates, find hotel packages and KLM flight deals and select your personal preferences to make sure you stay up-to-date. The Amsterdam Dance Event takes place from the 17th to 21st of October, 2017. Since its inception in 1996, the Amsterdam Dance Event (ADE) has evolved into the leading business conference and festival of the global electronic music scene. It is the place to be and spot the latest developments: from musical trends and upcoming talents to the most recent output of dance’s pioneers and superstars.